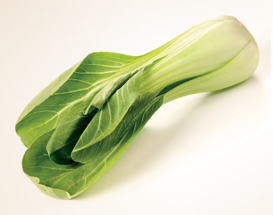 Often known as Chinese cabbage and classed as a brassica, these mild-flavoured vegetables are staples of oriental cooking and are available from UK farmers from March to November or December, depending on the weather. Part of the mustard family, they have soft, succulent leaves that can be eaten raw or cooked. No need to restrict them to oriental cookery though – have fun experimenting with them in place of your usual green veg choices.